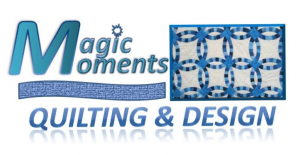 At Magic Moments Quilting, we produce and design unique quilting products. We aim to please with the high quality of our items. Every item is made with care and with an attention to detail. 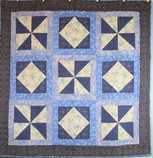 This is an example of our pre-made quilts. For information on other quits and products, please use the navigation headings above. Here is an example of a T-Shirt quilt we have created. This is one of our original designs and we are in the process of creating a pattern for it. Please check back for availability.